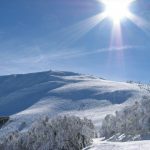 Planning a holiday away to Victoria’s Snowfields at Mt. Hotham, Falls Creek, Mt. Buller or Baw Baw? 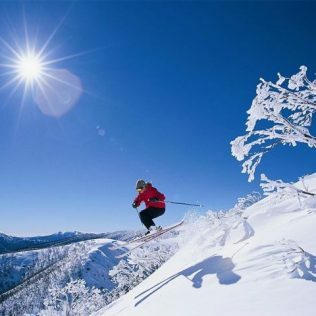 Maybe even the New South Wales Ski Fields ? The snow season is soon approaching. Plan a trip with us to the SnowFields. 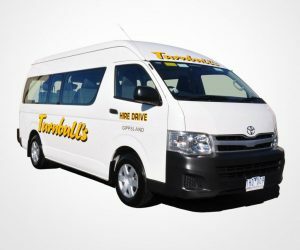 Our 4 day Mini Bus rental snow package is Sydney & Melbourne’s cheapest Mini Bus deal! Grab your Family & Friends and take advantage of our Snow Specials for 2018! 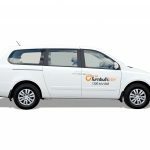 *Our 4 day Mini Bus rental snow package includes 800kms allowance and is GST inclusive. This Package is available from our Sydney Mascot, Tullamarine, Pakenham, Traralgon, Sale and Yarram depots. 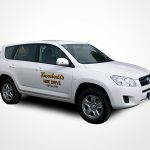 *Minimum 4 Days applies to Melbourne Suburb Free Delivery bookings. Unlimited kms up to 14 days. HOYS HARRIETVILLE VOUCHER FOR TURNBULL’S CUSTOMERS! Hoy’s are a family owned business operating for over 70 years in the Mt. Hotham district with 4 centrally located hire outlets offering highest quality equipment & local friendly service. Turnbull’s guests can receive 15% off Adult, Youth & Child Ski and Board packages at any Hoys 4 Rental shops. You can upgrade this discount to 20% off these packages if you hire chains through Hoys Harrietville. You can upgrade to 25% off Ski and Board packages if you prebook & prepay 72 hours in advance with Hoys – minimum 2 days hire. 2018Free Day Deal – 5th consecutive days rentals free. We recommend hiring your chains from Hoys Harrietville to take advantage of their amazing FREE fitting service on the way up the mountain. Hoys chains can also be hired through Hoys Chains Omeo. Prebook online to qualify for 2018 specials. 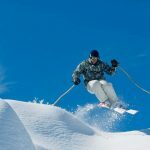 We have also compiled a small list of facts to make getting to the Snowfields easier and cheaper than you expected. Hiring from Turnbulls Hire is not only cheaper, but much more flexible. This allows you to travel on the dates and at the times you want. Stop when you want, go sightseeing and have the flexibility to travel between resorts. The advantages of hiring with Turnbulls Hire are neverending. All snow resorts in Victoria require you to carry snow chains, regardless of your vehicle or no matter how good the conditions are. 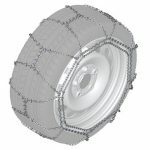 Snow chain requirements may vary between 2-Wheel Drive (2WD) and 4-Wheel Drive (4WD) and All-Wheel Drive (AWD) vehicles, as each of these types of cars react differently to snow and icy road conditions. Snow chains can be hired from any of these towns on your way to the Snowfields. Mansfield, Omeo, Bright, Harrietville, Erica and Rawson. To get to Mt. Hotham from Melbourne there are two options. You can take the Hume Highway to Wangaratta, and then the Great Alpine Road via Bright and Harrietville. Travel time is about 4.5 hours. There is also the way along the Princes Highway to Bairnsdale, and then on the Great Alpine Road via Omeo and Dinner Plain. This way is a bit more ‘scenic’, taking about 5.5 hours. Accommodation is available on the mountain or 5 minutes away at Dinner Plain. Omeo which is about 40 minutes away has a variety of Hotel and Pub style accommodation available. The road to Falls Creek from Mount Beauty gently winds uphill for 32 kms, so take your time and please drive carefully. No petrol is available at Falls Creek so make sure you fill up before you come up. In winter, diesel vehicles should fill up with Alpine Diesel from Mt Beauty or other local suppliers to ensure their vehicle works correctly in the cold conditions. Travel time is about 4.5 hours. 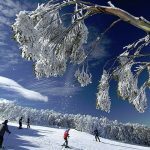 Only 250kms north east of Melbourne is the most accessible snow resort in Australia, Mt. Buller. Accommodation options are varied. You can either opt to stay on the mountain or travel up from Mansfield. Travel time is about 3 hours. Mt. Baw Baw is the closest Ski Resort to Melbourne. Travel time is about 2.5 hours. Reaching Mt. Baw Baw from Melbourne is easy. Simply take a short drive along the Princes or Warburton Highways and follow the signs. There is also an alternative route that takes the Princes Highway to Moe. Then turn left onto the road to Erica. You can get snow chains here. Five minutes out of Erica is the new South Face Road. It is unsealed, but it provides all weather access without steep gradients or sharp hairpin bends. This takes about 30 minutes, but takes you straight to the main gate. 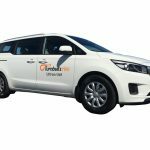 If you would like to reserve a vehicle now, please call 1300 664 068 and speak to our friendly staff. Snow specials are not available for online bookings.